How can you maximise the passive income of a property. 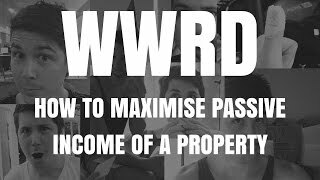 In this episode of WWRD we look at how you can increase the income of one reader’s property. Hey and welcome to a very special episode of What Would Ryan Do, the series where I answer your questions and give you an idea into what I would do in your specific situation. 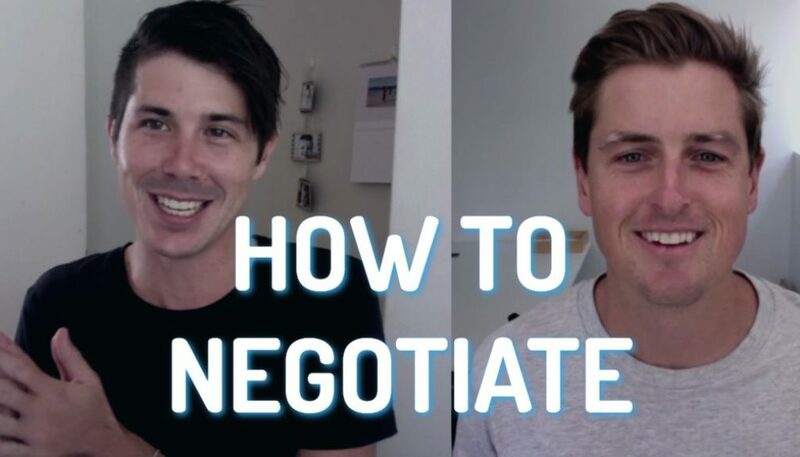 Hey, I am Ryan from OnProperty.com.au, helping you positive cash flow properties and this is a very special episode because the person who brought this question – Peter, actually allows us to share his property address so we can look into this in a bit more detail, which is really exciting. And he wants to maximize his passive income, which is a topic that I am extremely passionate about. Peter, thank you for being a subscriber for quite a long period of time and I am glad you like the interviews. Definitely, I have more of those in the pipeline. Peter, the way that I am going to be approaching this is – because value can be taken in so many different ways, generally in property you are either talking about the income of the property or you are talking about the equity value – the value if you went and sold the property. I am going to leave that aside in terms of the value when you sold the property. I will look at that and touch on that because it is important but I will be more looking at the passive income of the property because I just think you have such a good opportunity here. So, background information is that it was purchased for $847,000 back in 2013 and this is going to be great for everyone watching because i actually just searched for the address of this property and we can actually see that it was sold for $847,000 on the 6th of September 2013. So this sort of information is public knowledge guys, again on OnTheHouse.com.au. If I went to the street address then it should also give us. We can see what it has rented for. Conmparable properties, often that has a sold history as well. I am not going to waste your time trying to find that out at the moment but generally OnTheHouse.com.au also has that. So, it was sold for $847,000 or you purchased it for that. The last value is $1.12 million in 2015. The front house rents for $410 per week, the back house is for $470 per week and the address is 82 McClelland Street, Chester Hill, New South Wales; so if you guys want to follow along, you can go ahead and check that out. Please do not be afraid to Google it, happy if you do use a screenshot, if you make a video out of it. So, thank you Peter for letting us share the address and to go through this. So, a few things that I have looked up: obviously, I have looked up the listing for this property. I was reading through it and it is 14,000 square meters featuring two houses. The front house is 2-bedroom fibro – not brick; and the back home is a solid brick home with 3 large bedrooms. Now, obviously there are no pitches of the back home here so I ended up finding it on OnTheHouse.com.au, a picture of the backhouse here. The backhouse is 3 bedrooms with an en suite and you said it is currently leasing for $470. So we have our baseline and I also went to Google Maps, turned on the satellite imagery and if we zoomed in – I did not want to do that that was a bit weird. Okay, we can see it here guys. Can I zoom in again? Alright, I do not want to go 3D. Anyway, here it is. You can see number 82 and I got a bit confused because I thought maybe it is this little granny, maybe that is granny flat or something on the back but 82a is also yours. So I am guessing you got this whole strip here as well as it looks like there is a driveway down the side there going into 82a. So, we are renting 2 properties at the moment and let us go ahead and go into our calculator. Now this is over at PropertyTools.com.au. This is a tool that I created. If you guys are interested in this. So you purchased it for $847,000 and rental income, which you told us, is $410 plus $470 so it is $880 per week so if we go ahead and put in $880, assuming an interest rate of 5% which you can actually get cheaper at the moment. This goes through and assumes things like deposit of 20%, it has property manager fees and stuff like that. So, in terms of positive cash flow, ideally you should be in the positive cash flow position already but in terms of cash flow, you are looking at $50 a week. It is not a lot. You might have more expenses than this so you may be negatively geared. But anyway, we are not in a super duper cash flow position but hey, we should be neutral or positive at least. So, how can we maximize the cash flow of this property? I have a few different thoughts that I will go through. Obviously you need to assess your own situation, you need to work out what is best for you. Let us just first show everyone where this is. So Chester Hill, New South Wales; if we use the magic of Google and zoom out, zoom, zoom, zoom then we can see that this is actually – it should come up and tell us that this is Sydney. Okay, we are talking Western Sydney here, Chester Hill. Obviously over the last couple of years Sydney has grown significantly. So, first thing that I would probably do is – you said you got it valued in 2015, I would consider getting another valuation done just because of the growth that Sydney has had. You may want to speak to someone before you do this just to make sure that the area has gone up above what you recently got it valued at because if you had it valued December 2015 versus January 2015, that could be different story. But step number 1 could just be to revalue your property again just because of the growth of the Sydney market. You may find that it is actually worth more than $1.12 million so that may be something to consider to start with and that may affect the equity that you have access to and what you can do with it. Now, a lot of things I am going to talk about will likely require you to get an equity loan so it is going to be based off your situation so you need to talk to a mortgage broker. You need to assess whether or not this is right for you so do not just assume because I say I would consider this option, you should go and do it. You need to speak to a mortgage broker and work out whether you can do it, whether it is good for your financial situation. Big thing that I am thinking already is granny flats. Granny flats are pretty easy to get these days in Sydney. it looks like you have enough room on both of these properties: 82a, you could probably fit a granny flat down the back. It is just whether someone could get down the back to that granny flat. 82, you could also probably fit one in there so there is the opportunity for 2 different granny flats. Now, these are generally allowed to be up to 60 square meters, which means you can generally fit in 2 rooms but it could definitely – when I did an interview about it, you are looking at a cost of about $100,000 per granny flat. Interestingly, the front house is renting for $410 per week. According to the sold price here or according to the description, the front home is 2-bedroom fibro so you are looking at a 2-bedroom for $410. We could probably assume that if you created 2 granny flats then they could each potentially rent for somewhere between the $300 to $400 or even more than $400 per week. So you are looking at potential investment of somewhere around $200,000 to get $800 per week back so obviously these are very rough figures but let us go to our calculator. Again at Propertytools.com.au, if other people are interested. So, let us assume that we are just going to add this onto the value of the property. Let us just say we get all of these as a loan. So an extra $200,000, our current loan is $169,400 so an extra $200,000 would make it – no, that deposit is $169,400 so here. Total loan amount is $677,000 and so basically we are going to make this $877,000 and we are going to do a deposit of zero just to get us that perfect loan amount of $877,000. Rental income is going to go from $880 to $1,680 so we are assuming we can get $800 extra a week. Your rental or your positive cash flow estimate has now gone from about $50 a week or $2,500 a year to a yearly cash flow before tax of about $30,000 per year or about $569.24 per week, estimated. Okay, that is pretty exciting. Now, in terms of the fact that this is one title and 2 houses, I have no idea if you can get approved for a granny flat so that is something to look into. It is something to talk to. Granny flat companies abound or maybe speak to a town planner that might be something that you need to talk about before you can go ahead and get these granny flats done. Now, an option could be to actually stratify a title or turns-title this property so it did say in the description, “Subject to council approval. The property has the potential of becoming subdivided into 2 turns-title properties as per the previous DA approval.” So I do not know what the previous DA approval means but it sounds like you can definitely get these split into two titles, which I am guessing would make it a lot easier to get a granny flat done. 14,000 square meters, divide that by 2; 700 square meters, you should still be fine in terms of fitting a granny flat on the property. Obviously, you need to speak to someone. You need to go to a town planner. You need to pay to get the turns-title, to get it subdivided and to create that. But that is something that you could do, then maybe you will do that, then get it revalued and then you could potentially do the granny flats. So, that is something to think about there. 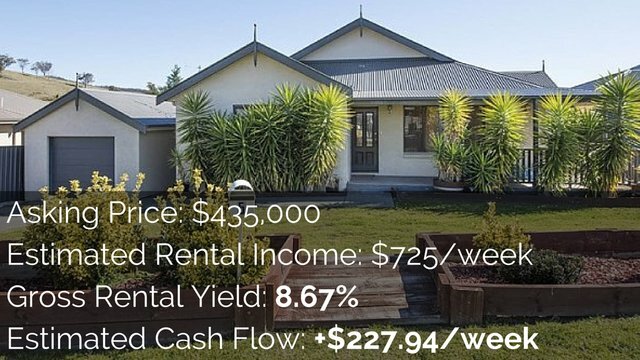 This granny flat might look like a great option, in our calculator, $30,000 a year. That sounds great but we cannot get them because it is already 2 properties on 1 title. I do not know the rules. Maybe we need to go and add $50,000 which makes this $927,000 lowering our cash flow to $27,000 a year, but it still seems very worth it if we can go ahead and do that. So, that is definitely something that I will be looking at. Looking at the pictures of this property, there could be opportunities for renovation on this property as well. You need to look into that like the floorboards look quite nice but in terms of I think it was the kitchen, it is hard because you cannot really see much but in terms of the kitchen, it is very basic. There is a big blank wall here; could you knock that down into the laundry room? Make it more open plan, bathroom as well is looking quite dated and could have some work done to it to improve it. So there is potential on the front property to renovate it as well. There may be potential on the back to increase the income again there. So I am thinking if it was me and I owned this property I would definitely start looking into what is the potential for granny flats on this property because if I can go ahead and I can build 2 granny flats or maybe I need to subdivide and then build 2 granny flats and I can significantly increase my passive income and then have 4 streams of income. Assuming that I do not live in this property that would generate 4 different streams of income so if one person moved out of the house, you still have 3 streams of income coming in. It is a pretty exciting position to be in and you can play around with this calculator. Let us say interest rates kept going down. You go down to 4% then your cash flow is going to go up. If your interest rates go up to 7%, you are still in a pretty good cash flow position. Let us go back to 5% and let us imagine a future scenario where you did build these granny flats, you have this rental income coming in and you have actually been able to pay off your property, $30,000 a year; maybe it has been 10, maybe it has been 20 years or more to pay it off but let us say that our loan goes down to zero. Purchase price of zero so we can see loan amount is zero here, what would our cash flow be? 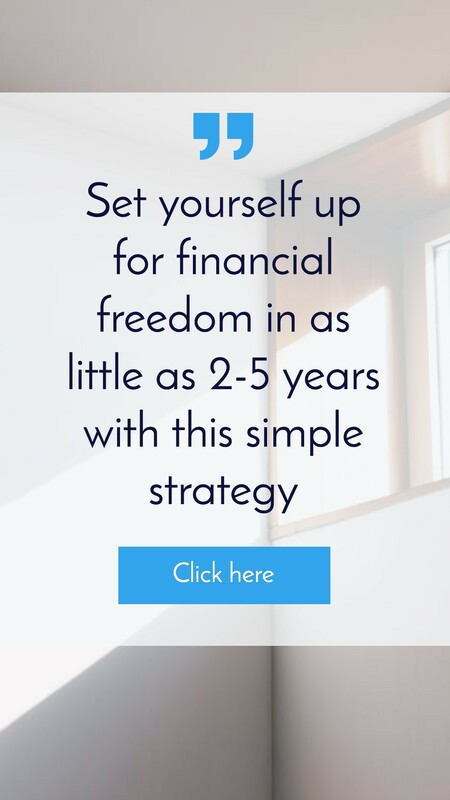 And I always like to assess this to think ‘could this property make me financially free by itself,’ because it is really an exciting thing when you have one property that could make you financially free by itself. And obviously, these are super rough estimates, if you subdivide it it will adjust, your fees and your council rates and these entire sort of stuff. But anyway, we are looking at basically a loan of $0. With the rental income that we had – of $180 per week, we are looking at a yearly cash flow of around $73,000 per year, which will make a lot of people very happy. You have a great opportunity with this property. Obviously, I do not know your situation but if it was me and if I own this property and I was in the situation where hopefully you have used a decent deposit to purchase it, it has been revalued higher than you paid for it, which is great already. Now, you want to maximize your passive income. Well, let us look into ways we can generate extra sources of income. You already have 2 properties on there, can we add some granny flat, can we do some other things to improve the rental income for that property? Build it up and then maybe we build it up and we want to pay down debt; or maybe we build it up and we then want to take that extra income and go and invest it somewhere else; or maybe we want to take the extra equity that we have and invest somewhere else knowing that would maximize the income we can generate from this property. So, Peter, thank you so much for your What-Would-Ryan-Do question. 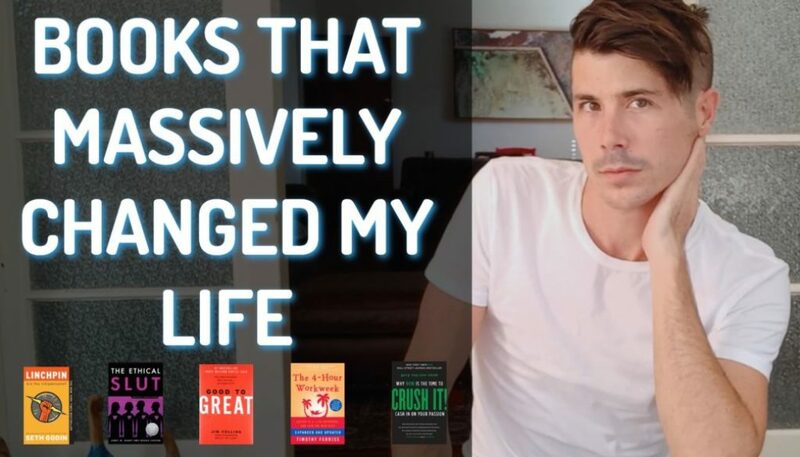 I hope that this has helped you, that is definitely off the top of my head – what I can think about. If you guys have questions, please send them to Ryan@OnProperty.com.au. That is my personal email address where I will get all of that. 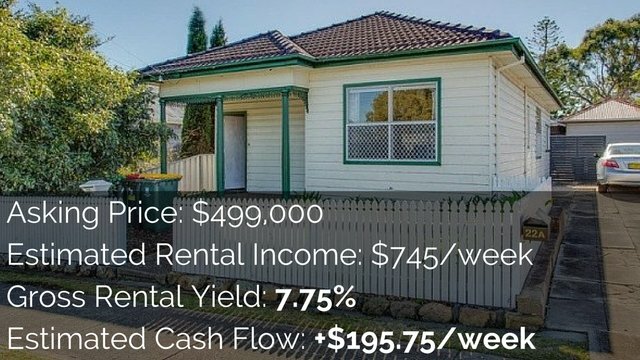 And if you want to get access to the Cash Flow Calculator, which is this one that I have been using, you can go ahead and check it out at PropertyTools.com.au. That is a really cool calculator where you can just punch in the purchase price and the rental income – we go ahead and reset this. Let us say you have a property that is $400,000. You have a rental income of $400 a week, what is the estimated cash flow for that? Or maybe if we up that to $500 per week, how would that affect our cash flow. And you can go through and adjust everything, maybe our property manager fees and more, maybe we are not going to have any vacancy rates. We can adjust repairs and maintenance, all of that sort of stuff. So, there is so much you can do here and at the end, we can save that calculation for future editing or we can go ahead and save it as a PDF, just share with our spouse or investment partner or our advisors or things like that. So you can check that out, get access to that, it is really cheap, $5 a month or $50 per year at the moment. Go to PropertyTools.com.au to see that. And that concludes this episode of What Would Ryan Do, about how to maximize the passive income of a property. 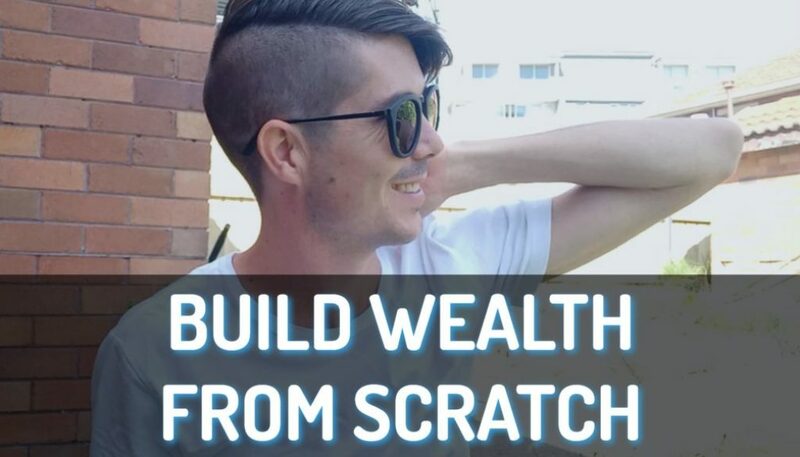 So, Peter, I hope that this has helped you and everyone listening, I hope that this has helped you to think about how can I maximize the passive income that my property is generating for me. Until next time guys, stay positive! How Does On Property Help It’s Customers? What Does A Buyers Agent Actually Do?